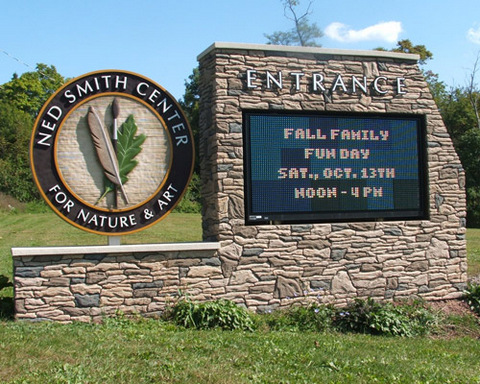 The signage you choose for your local government and municipal buildings and offices represents the face of the city, county or state to the citizenry. Are your markers up to par? Are they informative, modern and attractive? While it is true that those served by government offices primarily look for fast and competent service, the look and feel of the offices matter, too. And it all starts with the signage. Monument signs. Do not leave visitors guessing where the entrance to your parking lot is. A properly placed monument marker is not only attractive and looks great in the landscape, but it also alerts those looking for your offices to the location of the parking lot. Motorists are able to safely change lanes well ahead of the entrance. Building signs. 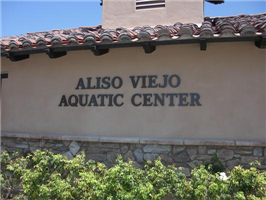 Dimensional letters are a great addition to your building’s exterior. They are dignified, formal and also modern. Choose metal or acrylics. By identifying either the name of the building or the name of the government office – depending on what you put on your letterhead – you help pedestrians in search of your location to easily find you. Wayfinding. If you share space with a number of different offices, consider the installation of post and panel markers in the parking lot. It allows motorists to park closest to the offices they are visiting. For additional wayfinding, add clear signage that identifies your entry door. Directories. Hand in hand with wayfinding are directories. They outline the names of the government offices, their locations and also secondary offices that may be related in function. For example, if your department of motor vehicles occupies multiple floors, help visitors to locate the floor that fulfills the services they need. EVAC maps. These maps are not optional. In the case of an emergency, help visitors and employees to pinpoint not only their exact locations but also the nearest exits and the shortest routes to get there. ADA signage. 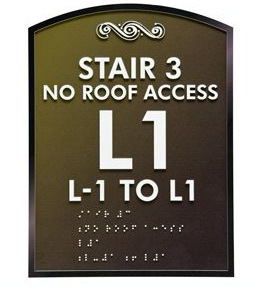 The Americans with Disabilities Act (ADA) specifies the look of certain signs, the addition of Braille and also the correct mounting heights and locations. But remember that these signs are not just suitable for the interior of your offices. State, city or county government parking lots should also provide ample spots for the handicapped. These parking spots need to be marked so that drivers may easily recognize them. 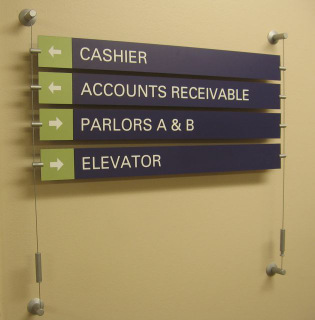 At Spotlight Signs and Imaging Solutions, we know that it can be quite a task to think through all the needed signage and weigh the options with an eye on budgets and attractive functionality. We can help! 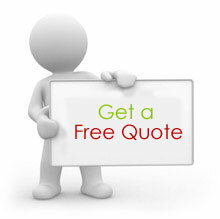 We serve the business communities and government entities in and around Tempe, Mesa, Chandler, Gilbert and Phoenix.